It occurred to me just how much I admire Frosty The Snowman, and his philosophy on life. Well, life as it is to an inanimate object, or in this case a fictional character who is also an inanimate object. This is personification at it’s best, I suppose. Kids build a snowman and find a silk top hat to put on his head. The top hat has some magic in it, and this animates the Snowman, whom the kids have named Frosty. He springs to life exclaiming “Happy Birthday!”. Yes, it’s a Christmas-season tale, but it is Frosty’s birthday, after all. Frosty plays and has fun with the kids until he begins to melt. The story is based on the song, I think, and the animated cartoon special picks up the story where the lyrics left off. In the song, Frosty waves goodbye as he melts, says “Don’t you cry!” to the kids, and “I’ll be back again someday.”. 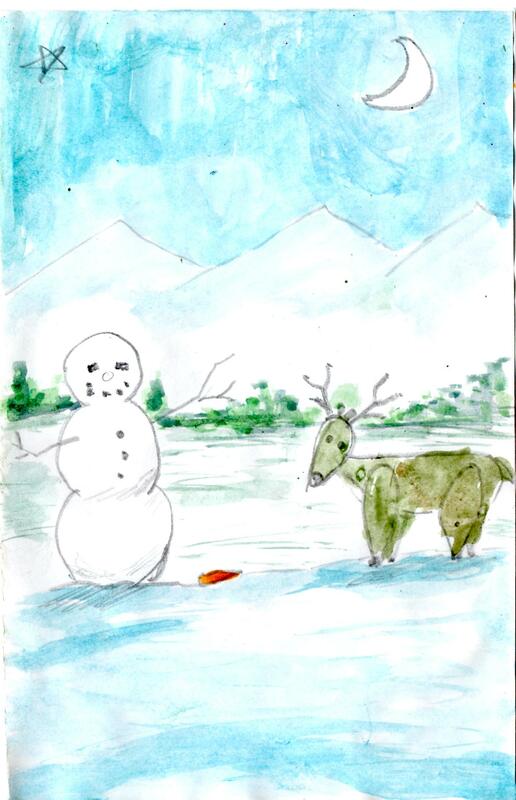 In the TV special, one of the children is heartbroken at the thought of Frosty’s departure, and adventure ensues as the little girl tries to get a six-foot snowman to the North Pole before he melts. Now there’s the spirit I admire. Frosty has this little window of life, knows he’s terminal, and instead of spending all his time worrying about how he can be cured and prolong his life, he decides to enjoy it before it’s gone. I’m adopting Frosty’s original spirit. Life will come and go whether it’s on a snowman’s timeline or a human man’s time line. I say let’s run and have some fun! * Calm down. The girl isn’t real, she’s in a cartoon. And Frosty is magic. Before the kid stops crying, a freezing wind blows Frosty back together and he comes back to life, exclaiming “Happy Birthday!” once again. Happy ending, although it does prove the fruitlessness of the child’s work and worry. a very good reminder to enjoy what we have already and to make the most with it.